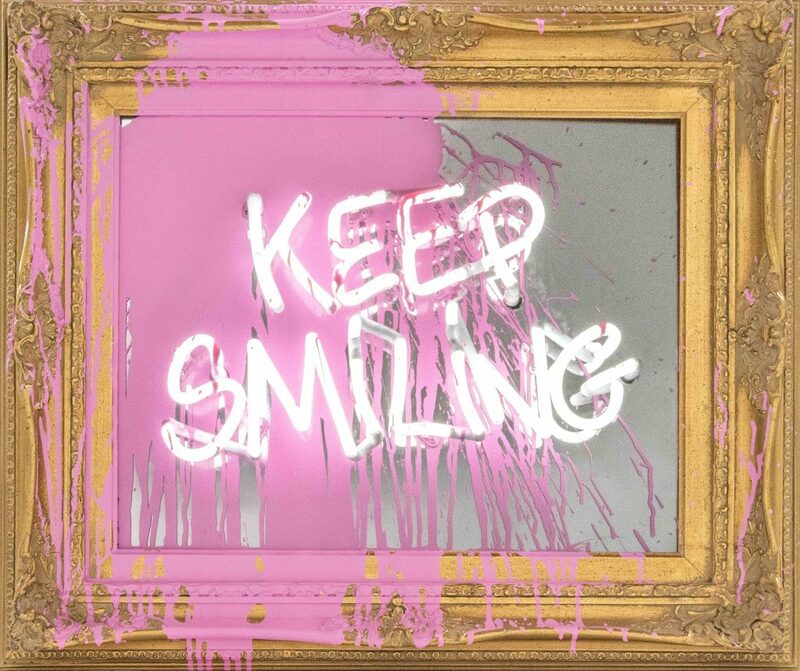 Keep Smiling is Los Angeles-based artist Mr Brainwash first Los Angeles-based UK exhibition in six years and will be exhibited across Maddox Gallery’s three London locations in Mayfair and Westbourne Grove. Known for his cartoonish take on the historical, the artist mischievously alters traditional impressionist style paintings and historical portraits by adding contemporary iconography. 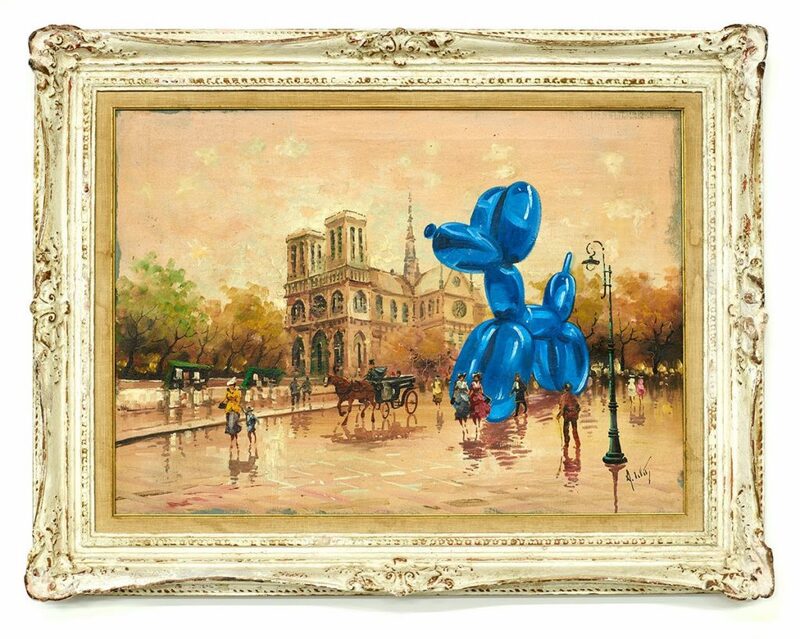 From Jeff Koons’ balloon dog to Keith Haring’s stick man and pop culture figures from Darth Vader to Snoopy, Mr Brainwash subverts these classic images with an injection of contemporary humour and commentary. Instantly recognisable imitations from pop artists like Andy Warhol and Jean Michel Basquiat add a puckish wink, whilst a work titled Brexit sees a steamboat headed towards imminent collision with La Serenissima, the new world crashing into the old. 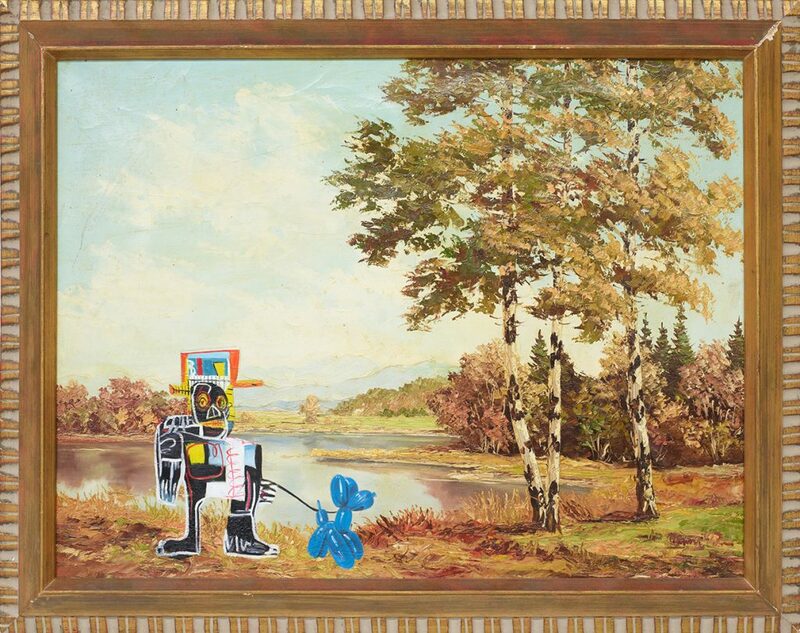 Mr Brainwash originally shot to stardom when he was featured in the Academy Award nominated Banksy documentary Exit Through the Gift Shop and is considered one of the very few street artists whose work has risen to the level of collectability. The artist recently hit the headlines when he painted the Kardashians into a Renoir artwork which went viral. 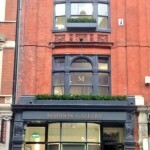 Mr Brainwash will fly in from Los Angeles for the launch of Keep Smiling at Maddox Gallery, Westbourne Grove and whilst in London will create an extraordinary new large-scale mural for the capital in April. Mr Brainwash is the moniker of filmmaker and Street Pop artist Thierry Guetta. 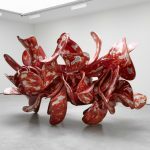 Born and raised in France and based in Los Angeles, Mr Brainwash has been pushing pop culture’s boundaries for almost a decade, bringing his art to the street, the gallery and on screen. Armed with wheat paste, spray cans, brushes and paint buckets, Mr Brainwash put aside the camera and started attacking the streets in 2006 with stencils and posters of beloved icons and quickly becoming a renowned figure in the burgeoning street art scene. Now, Mr Brainwash has brought his street art to six continents and attracted hundreds of thousands or visitors to his massive solo art shows. 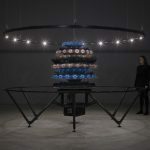 He has created cover artwork, album campaigns, music videos and installations for a variety of the most iconic figures and brands including Madonna, Michael Jackson, Dalai Lama, The White House, Coca Cola, Levis, Mercedes, Product Red and many others. Mr Brainwash is unlike any artist today. His shows are journeys -self-guided tours through a pop culture wonderland: colourful and beautiful. His artwork is a pure sensory experience and like so many of the subjects depicted in Mr Brainwash’s art, his works are timeless, reflecting human aspirations and the voice that screams, “Follow Your Dreams”. More Mr Brainwash posts. 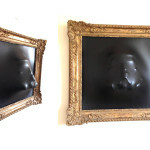 This entry was posted in Art Openings, Art Previews, EXHIBITIONS and tagged Maddox Gallery, Mr. Brainwash.. Bookmark the permalink.